For Larry and Elizabeth "Buffy" Boulet, endowing a scholarship at Indiana State University seemed like a no-brainer. They had attended several campus events that helped to spark their interest in giving. Following the Presidential Scholars dinner and meeting a student, the couple settled on the creation of a President's Scholarship as their means of giving. 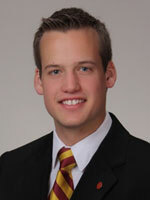 In 2014, Tanner Smith, a supply chain management major, became the third recipient of the Boulet Scholarship and has had developed a lasting relationship with the Boulets. "As a business student, I was able to connect with them about their careers. Our conversation ranged from travelling the world to artificial intelligence in marketing," Smith said. "To be honest, it was awesome. The people whose incredible generosity made my college experience possible also happened to be genuinely interesting and caring people." Reza Houston, Networks' Director of Research, has recently made a new working paper available. 2016-WP-04 - "Political Connections, Government Procurement Contracts, and the Cost of Debt" co-authored by David A. Maslar of Haslam College of Business, University of Tennessee – Knoxville and Kuntara Pukthuanthong of Trulaske College of Business, University of Missouri. They show that while firms that have a greater percent of sales to the government tend to have a higher cost of debt, firms are able to offset this higher cost through political connections. They also find that politically connected government contractors have, on average, lower costs of debt than non-connected contractors. The paper has been added to our Working Paper series page and will shortly be available from RePEc and SSRN. Reza Houston, Networks' Director of Research, has recently made three new working papers available. 2016-WP-01 - "Friends in the Right Places: The Effect of Political Connections on Corporate Merger Activity" examines how the appointment of former politicians and regulators to boards of directors or management teams influences corporate acquisition activity and performance. 2016-WP-02 - "Firms Behaving Badly: How Law-Trained Executives Affect Investor Reaction to Corporate Social Irresponsibility" investigating the association between the percent of law-educated board members and top management team executives in a firm and investor reaction to corporate social irresponsibility (CSI). 2016-WP-03 - "It’s a Sweetheart of a Deal: Political Connections and Federal Contracting" examines whether political connections measured by political contributions influences the choice of terms included in government contracts awarded to firms. All three papers have been added to our Working Paper series page and will shortly be available from RePEc and SSRN. 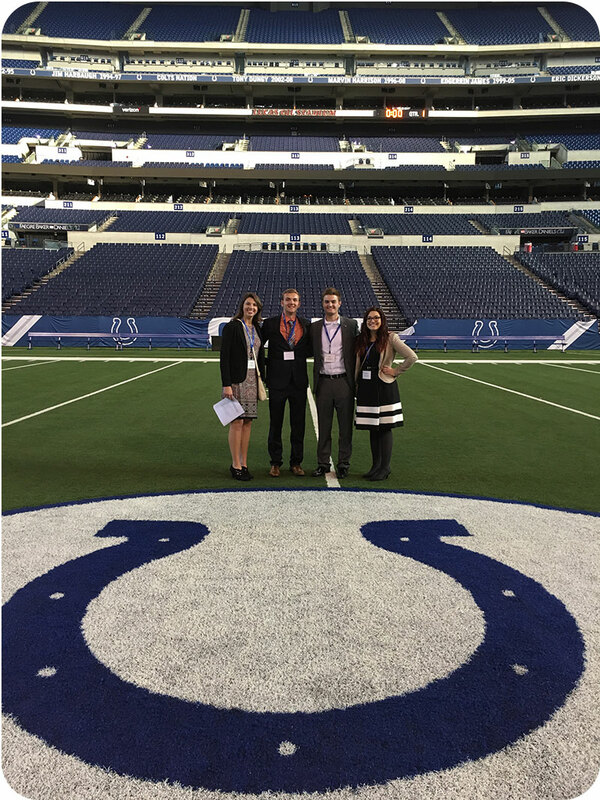 Several of our students visited Lucas Oil Stadium in Indianapolis on a risk management tour during the Independent Insurance Agents of Indiana Convention. Pictured are Meagan Steger, Evan Rogers, Trevor Steiner and Madeline Sherbondy. 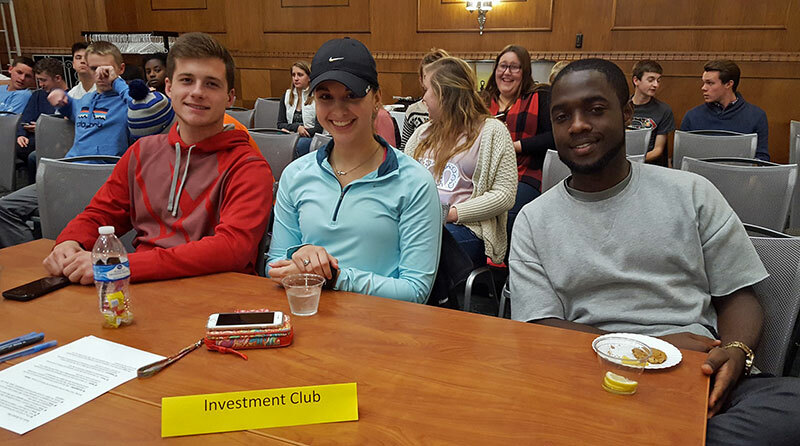 Congratulations to the Investment Club team for winning this year's Ethics Bowl. For more details see the Ethics Conference webpages. 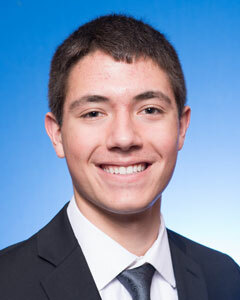 Christopher Moghadam, sophomore from Cloverdale, Ind., is a recipient of the President's Scholarship, the university's most prestigious award presented to 20 incoming freshmen. Moghadam describes his time at Indiana State so far: "Hectic, but in a positive way." Moghadam, majoring in business management, is active in the Honors Program, Networks Professional Development program, Creative Writing Society and is an RA in Pickerl Hall. Monghadam is interested in pursuing entrepreneurship after he graduates. He plans to get involved with Small Business Development program and Launch Program Terre Haute. Austin Angel of Newton, Ill., is a recipient of the Networks Scholarship, awarded to business majors interested in pursuing a career in the financial services industry. Angel says he is grateful for all of the opportunities given to him so far. Angel, junior, is majoring in finance with a concentration in financial planning and financial services with a concentration in accounting. He says, "ISU has helped me see who I really am and where I want to go." For Larynda Keith, the goal has always been clear – Earn a degree in business, then get a job at the Naval Surface Warfare Center, Crane Division (NSWC Crane). Through NSWC Crane’s Pathways Intern Program, Keith has been able to work on both of those goals at the same time. 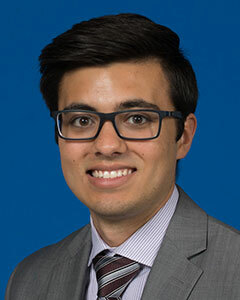 Keith, a senior at Indiana State University triple-majoring in finance, insurance and risk management, and business administration, has been a Pathways intern at NSWC Crane since May 2015, working within the Business and Financial Management Division. Ten scholars were inducted into the Insurance and Risk Management Honors Corps at a luncheon and ceremony on Friday, October 2016. The inductees were Joshua Bruce, Gregory Darling, Chevy Elliott, Elaina Freesmeier, Addison Grooms, Samantha Hightower, Seth Payton, Erika Perry, Laiya Sultan, and Justin Tolliver. Unfortunately some could not attend the ceremony due to internship commitments and others were studying abroad. Inductees must be in good standing with the University and have at least a 3.6 GPA. The Insurance and Risk Management industry were represented by Steve Duff, Executive Vice President - Independent Insurance Agents of Indiana; Mike Janicki, Managing Director, Risk Control; Kevin Kelly, VP of Sales and Strategic Initiatives, Indiana Farmers Mutual Insurance Company; Gary Kupec, President, Corporate Insurance Consultants, Inc.; Mike Lopeman, Vice President, Artex Risk Solutions; John Lurker, Vice President of Sales - Key Accounts, United Healthcare; Wes Mantooth, Principal and Employee Benefits Practice Leader, Gibson; Brian McLeish, Sales Leader, State Farm; and Chad Trainor, Vice President & Manager, Arlington/Roe. The entire Scott College of Business Insurance Advisory Council should be thanked for their support and participation. Pictured L-R at today’s luncheon and ceremony are MCs Meagan Stenger and Trevor Steiner, with inductees Justin Tolliver, Joshua Bruce, Greg Darling, Addison Grooms, and Seth Payton. 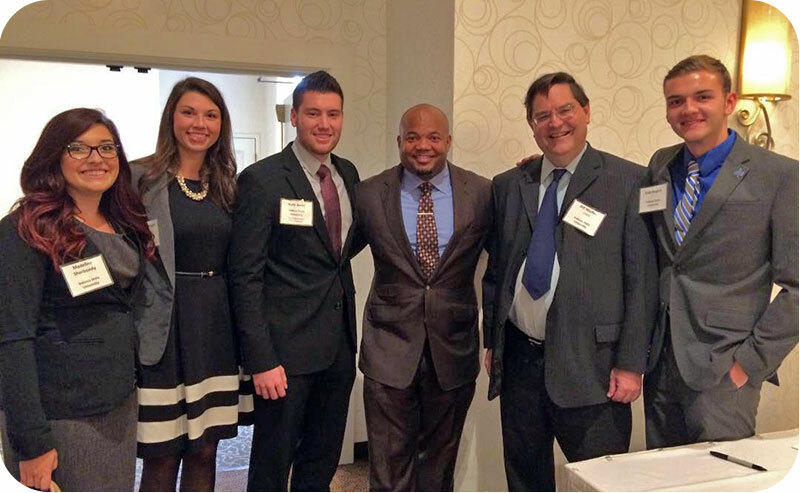 Madeline Sherbondy, Meagan Stenger, Nate Jones, and Evan Rogers pictured with Gary Brackett and Indiana State professor William Warfel. Brackett was keynote speaker at today's Central Indiana CPCU Society Chapter meeting at the Ritz Charles in Carmel, Indiana. Gary Brackett is a former American Football Linebacker in the National Football league (NFL). He played with the Indianapolis Colts from 2003-2011. He was the Defensive Team Captain, Superbowl Champion (XLI) and 2x AFC Champion (2006, 2009). He played college football at Rutgers University. In 2009, Brackett was the 11th annual recipient of the Arthur S. Arkush Humanitarian Award, presented to the NFL Player “whose contributions to the community and charitable organizations are especially outstanding.” He won the award for this work with the IMPACT Foundation, a charity he founded in the spring of 2007. In 2011, Brackett published Winning: From Walk-On to Captain, in Football and Life, a memoir about his life, including his accomplishments and struggles with family, college and the NFL. 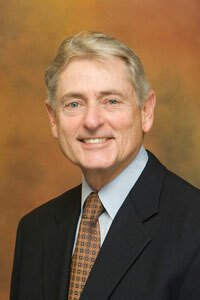 Brackett earned a Masters of Business Administration degree from George Washington University after retirement. He owns and operates Brackett Restaurant Group in Indianapolis. He started in the restaurant business as a partner of two Stacked Pickle locations. Brackett then opened Georgia Reese’s Southern Table & Bar. In November 2014, he purchased all the Stacked Pickles and has since opened three more. 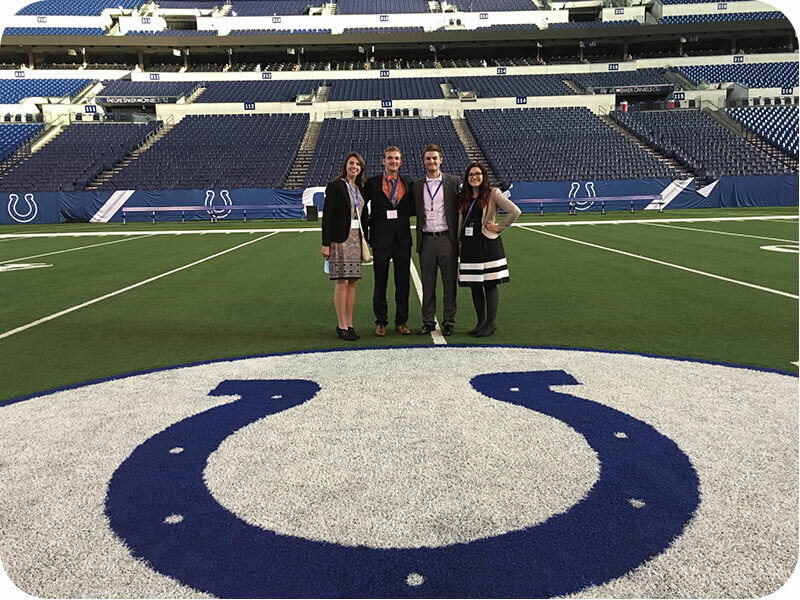 Brackett was nominated by the Indianapolis Business Journal as one of “Indy’s 40 Under 40” in 2016. Todd Wilkowski, Attorney at Law at Frost Brown Todd LLC talked about Crisis Management, sharing lessons learned from project incidents he was involved in as the leader of Baker’s crisis response team. Linda Ferguson, CPCU, Senior Vice President of the Technical and Educational Products Division, The Rough Notes Company, Inc. presented an interactive educational seminar exploring personal and commercial lines coverage issues. Attendees were required to work in a team to evaluate loss situations and determine if coverage is available under various commercial lines and personal lines policies. A new working paper, Friends in the Right Places: The Effect of Political Connections on Corporate Merger Activity, co-authored by our Director of Research, Reza Houston, Stephen P. Ferris and David Javakhadze is now available for download from our website. The paper was originally delivered to the 2016 Insurance Reform Summit in Washington D.C. and published by Elsevier B.V. The paper examines how the appointment of former politicians and regulators to boards of directors or management teams influences corporate acquisition activity and performance. It found that bidders with political connections are more likely to acquire targets and avoid regulatory delay or denial. The merger premium paid increases with political connectedness. The announcement period returns show that investors recognize that bids by politically connected acquirers are more likely to create firm value. Connected bidders make more bids and bid on larger targets. Connected acquirers also enjoy superior post-merger financial and operating performance. All of our Working Papers can be found on our pages and on the RePEc website. 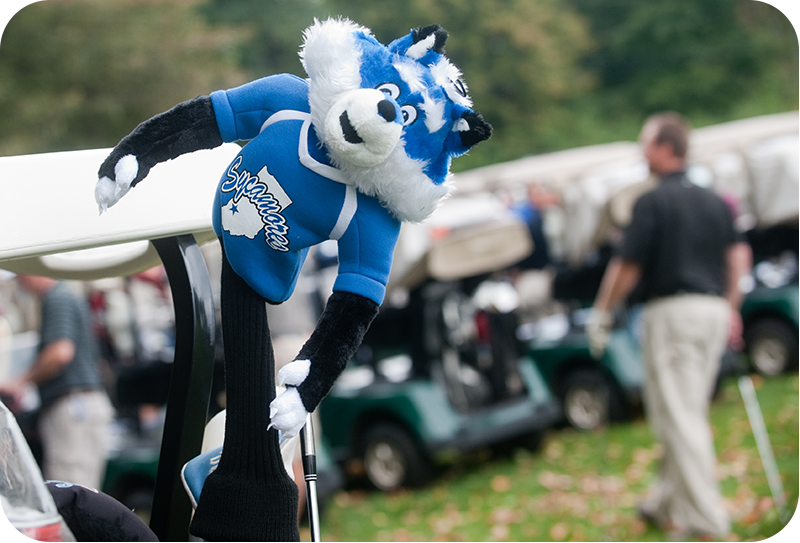 The Oktoberfest Golf Scramble is a fundraiser that helps support different opportunities for students such as corporate visits, national conferences, study trips and other activities. Every year, the event is coordinated by a different junior at Indiana State University. This year, Trevor Steiner is in charge of organizing the outing. A new video featuring accounting major and Presidents Scholar Bo Turner talking with Indiana State University President Dan Bradley about the recent additions and improvements to our campus has been released on YouTube. Congratulations to student-athletes Julia Linton, Katie Sullivan and Trent Lunsford who have all earned Missouri Valley Conference’s Commissioner’s Academic Excellence Award, which requires a minimum grade point average of 3.5 for the previous two semesters, a minimum 3.2 cumulative grade point average, and participation in athletics. The three have also joined the Missouri Valley Conference 2015-16 Honor Roll, which recognizes the academic achievement of student-athletes. To qualify for the Valley Honor Roll, a student-athlete must have recorded a minimum 3.2 grade point average for a specified term (Fall 2015/Spring 2016), must have been a member of an athletics team, and must have a minimum of 12 hours of enrollment during the fall or spring semesters. Julia and Katie’s achievement was in soccer and Trent’s in baseball. 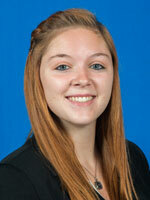 Julia is a Networks Scholar working towards a degree in business administration. Katie is a President's Scholar studying finance and Trent is also a Networks scholar, also studying finance. Will Lehman Named One of "10 Under 40"
Will Lehman, ARM, CRIS was recently named one of Bloomington, IN., Chamber of Commerce “10 Under 40.” The award ceremony took place at Ivy Tech Community College Bloomington on July 28. 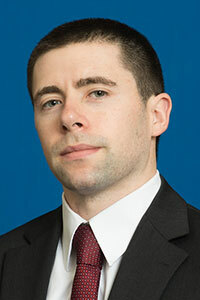 Will is currently an insurance specialist at Cook Medical Group and was a 2014 Indiana State insurance and risk management graduate and Networks scholar. 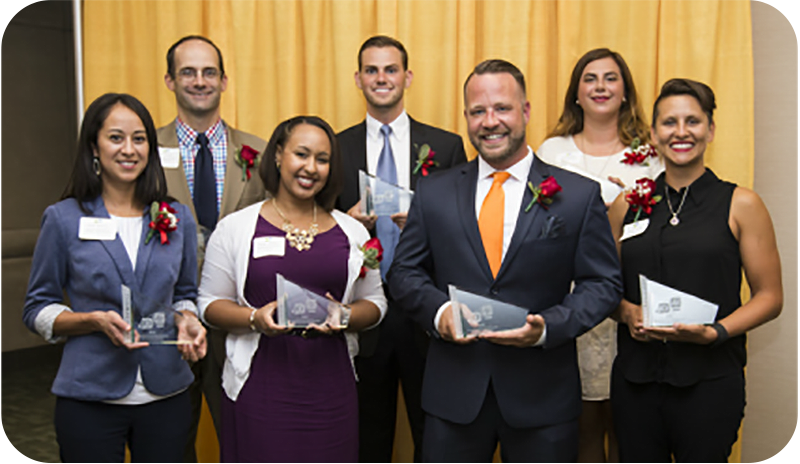 “Each of these young professionals, with their impressive work ethic and dynamic leadership, has already made a significant impact in their business and in our community,” said Jeb Conrad, President and CEO of The Greater Bloomington Chamber of Commerce. Photo: Bloomington Chamber of Commerce. Will is back row, center. Among those recognized at Saturday's March On! Awards event were friends of the Scott College of Business, Lilly Endowment and Don and Susan Scott. The Lilly Endowment has provided more than $45 million in philanthropic support of programs, scholarships and initiatives across Indiana State's campus and has been a partner in fulfilling the university's mission to prepare leaders. Launched in 2003, the Networks Development Program provides full in-state tuition scholarships to Scott College of Business students. To date, more than 130 graduates have completed the intensive experience. 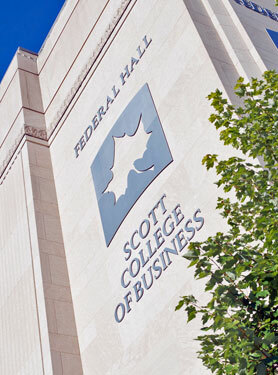 Don and Susan Scott's personal connection to Federal Hall, formerly the Federal Building built in 1935, inspired the largest individual gift in university history to name the Scott College of Business. The Scotts' generosity enhanced the renovation of the 1930s-era structure. The couple's connection to Indiana State and the Terre Haute community was a catalyst for the transformation of the facility into a state-of-the-art educational space for one of Indiana State's largest colleges. The Scotts are members of the ISU Foundation's Book & Torch Society, 1865 Society and President's Society. Don Scott received an honorary doctorate from Indiana State in 2015. Sarah B. Cobb, Lilly Endowment's vice president for education and Don and Susan Scott accepting their rewards at the March On! 2016 awards banquet. Two incoming Indiana State University freshmen have been awarded the Lilly Endowment Community Scholarship. Now in its 19th year, the Lilly Endowment Community Scholarship Program has awarded more than $333 million. Taylor Thrasher of Sullivan County and Kyle Collins of Pulaski County are recipients of this prestigious award that provides four years of full-tuition scholarships and book stipends to Indiana students. 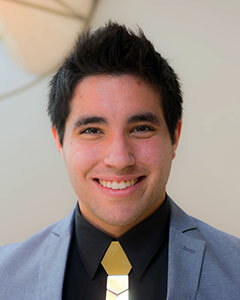 Kyle is a Networks Scholar and a member of the Class of 2020 Networks Professional Development Program. "I am extremely grateful for the Lilly Endowment Scholarship and the Pulaski County Community Foundation for selecting me among a great group of peers," Collins said. "In high school I had the chance to learn the importance of philanthropy, academic excellence and community involvement. Being given this honor, I have realized that it is my responsibility to make my hometown proud with what I do." Indiana State University has awarded the University Honors Scholarship to 31 outstanding freshmen set to begin their studies this fall. The students chosen for these competitive scholarships demonstrated high levels of academic achievement throughout high school and during an on-campus interview process. Specifically, students are required to have at least two of the following: a cumulative GPA of at least 3.75 on a 4.0 scale, a score of 1200 on the SAT or 26 on the ACT and a ranking within the top 10 percent of their high school class. Congratulations to all 31 students and welcome to the Scott College of Business to the three taking business degrees, Alison Dial (accounting), Taylor Yates (business administration), and Taylor Morris (finance). All three are also joining the Networks Professional Development Program, class of 2020. 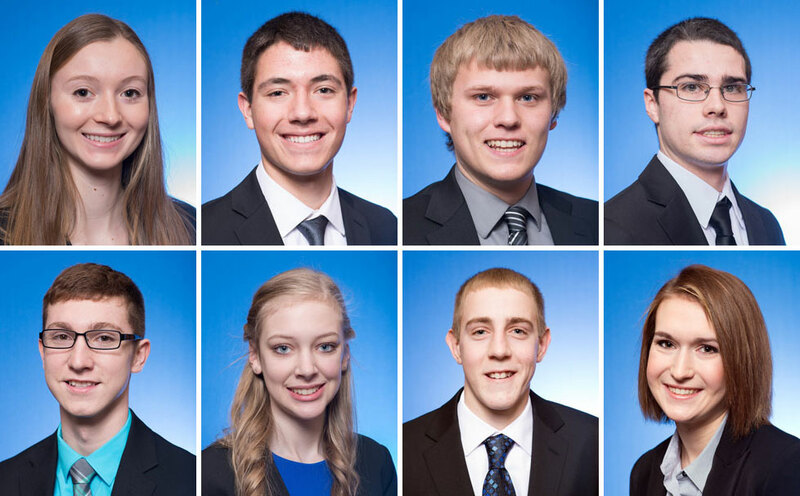 Eight incoming Indiana State University students have been awarded the Networks Scholarship for 2016. Networks Financial Institute Scholarship provides first-year students with full in-state tuition for four years and a $3,000 professional development account. Recipients of the Networks Scholarship have also been presented the opportunity to become part of the prestigious Networks Professional Development Program in the Scott College of Business. The Networks Program is intended to develop future leaders of the financial services and business fields. There is a heavy focus on both professional and personal growth through hands-on learning, industry relationships and personalized coaching through participation in weekly educational seminars, student-led planning and execution of projects that impact the program and the university and community with events like the annual Ethics Conference held at Indiana State each spring. Congratulations and welcome to Gretchen Burkhart, Kyle Collins, Kyle Deters, Luke Fleck, Jacob Kissick, Samantha Lewis, Andy Mersman, and Allison Meyer. Congratulations to Makayla Herring, 19, of West Terre Haute who withstood the challenges of 12 other contestants in being named 2016 Miss Vigo County Fair queen last month at Indiana State University’s Tilson Auditorium. A 2015 West Vigo High School graduate, she is an ISU President’s Scholar and a member of the Networks Professional Development Program sophomore majoring in insurance and risk management. She also will try to be the first Vigo County representative to become Indiana State Fair queen since 1972 when Vicki Ann Sotak earned that title after winning the Vigo County queen contest in 1971. 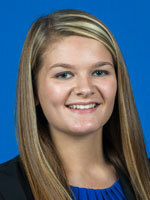 “I’m beyond blessed,” she told the Tribune-Star afterward. “I feel extremely happy, excited, nervous, anxious all at once. 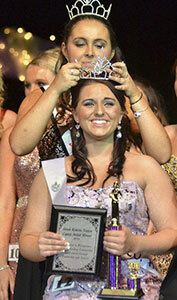 Young Herring also received the Sarah Roberts Norton Legacy Award and Miss Congeniality Award. Gongaware scholar Brandon Nettrouer was awarded the President's Medal for Leadership, Scholarship and Service at Indiana State University. The medal is awarded to a junior or senior who has exhibited a passion for service, leadership and academic merit. 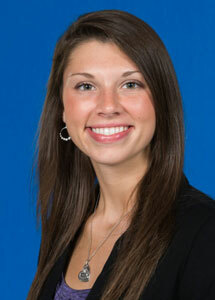 Nettrouer of South Whitley graduated with an insurance and risk management degree and an insurance sales certificate. He has already started his career in South Bend with Gibson, an independent insurance agency, as an associate risk advisor. Welcome to the 2016 Gongaware Scholars. Four students have been selected to participate in the 2015-16 class of Gongaware Scholars in the Scott College of Business at Indiana State University. The Gongaware Scholarship provides recipients with a full in-state tuition scholarship, a $3,000 professional development account and creates networking opportunities through involvement in various events and activities. Students are given multiple professional and developmental opportunities including paid internships, professional mentors and leadership roles. Gongaware Scholars also participate in the Networks Professional Development Program and receive a laptop computer through the ISU Laptop Award. Congratulations and welcome to Addison Grooms, Erika Perry, Gregory Darling, and Chevy Elliott. 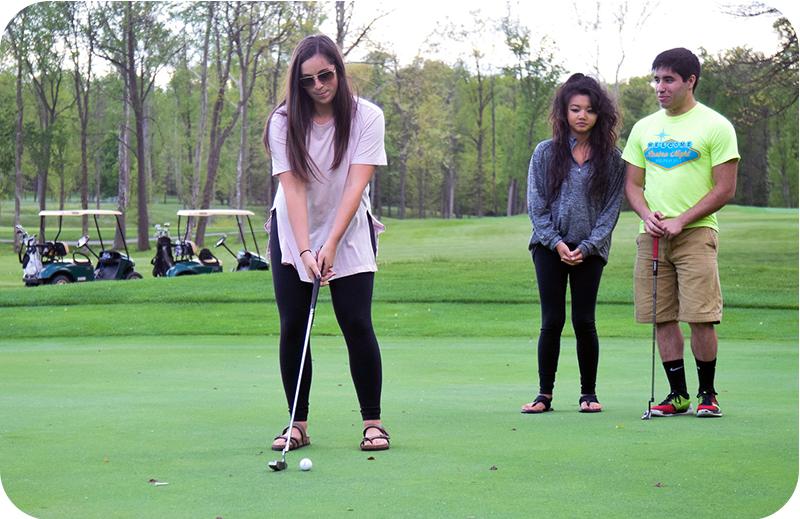 "Being able to play golf and be professional on the course is always a good thing to learn in business," said sophomore insurance major Ryan Polito. "It is also an event that helps us, as Networks Scholars, to have fun and build relationships with other students who are in the program." While the golf activity has been an annual end-of-the-year event for all members of the Networks Professional Development Program for several years, this was the first time the group played at Hulman Links in Terre Haute and received direction from eight members of Indiana State's women's golf team. Congratulations to all our award winners but everyone in the program are exemplary people. Networks Financial Institute's Director of Research and Assistant Professor, Reza Houston's recent publication in Managerial Finance "Does the Revolving Door Swing Both Ways? The Value of Political Connections to U.S. Firms” published in Managerial Finance 2015 Vol 41 10 E received their Highly Commended Paper in the 2016 Emerald Literati Network Awards for Excellence. . Networks' Fellow and professor at the University of New Orleans, M. Kabir Hassan, has been awarded the Islamic Development Bank Prize in Islamic Banking and Finance for 2016. Following a trip to Italy with the Networks Professional Development Program in August, Kyle Varble, Breanna Blythe, and Monica Griesemer worked with Dr. Aruna Chandra and Kim LaGrange to prepare a case study about understanding the business environment of Italy through the eyes of a start-up company. This past week they had the opportunity to present their research in Ashville, North Carolina at the National Conference on Undergraduate Research. 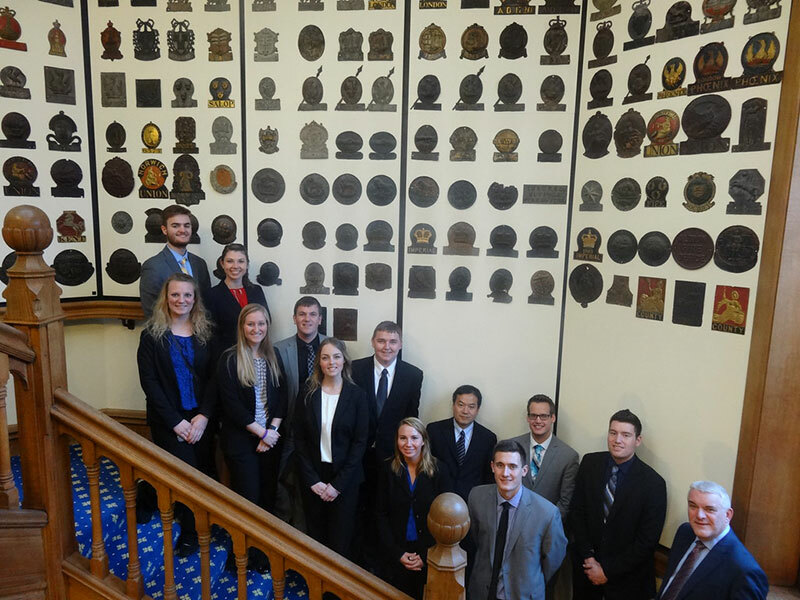 Eleven insurance students traveled to London,March 12-19, to study the insurance market were accompanied by Rebecca Wray, director of Indiana State University's Networks Financial Institute and Gongaware Center for Insurance & Financial Services, and John Liu, associate professor of insurance and risk management. An Unbounded Possibilities grant from the Indiana State University Center for Global Engagement and assistance from the insurance program helped the students fund their travels. The students had the opportunity to visit Lloyd's of London - the world's largest independent market and oldest continuously active insurance marketplace; Crawford & Company - the world's largest-independent provider of claims management solutions to insurance companies and self-insured entities; Lockton Companies - the world's largest privately-owned insurance brokerage; Aon Benfield - the world's leading reinsurance intermediary and full-service capital advisor; and Chartered Insurance Institute - the world's largest professional body dedicated to insurance and financial services. 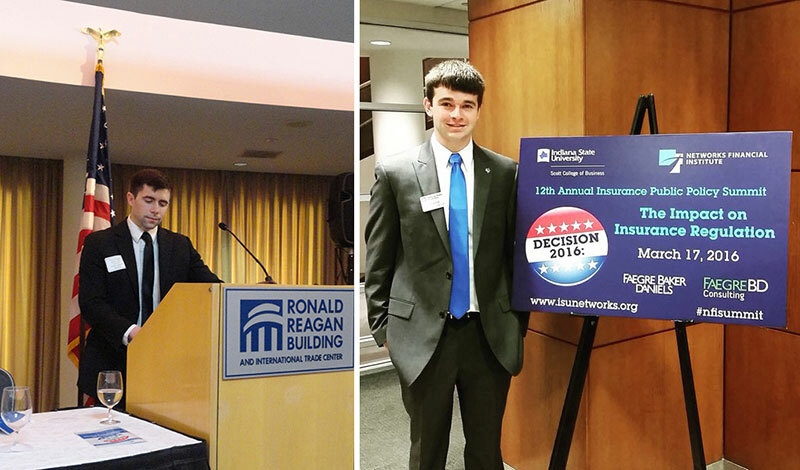 Networks Financial Institute's Director of Research, Reza Houston and Networks Scholar Kyle Varble both talked at the recent Network's Annual Insurance Public Policy Summit in Washington D.C. Links to the paper Reza presented, "Friends in the Right Places: The Effect of Political Connections on Corporate Merger Activity" and Federal Insurance Office director, Michael McRaith's prepared speech can be found on the Insurance Summit webpages. Congressional, government and industry leaders will discuss ramifications that the upcoming presidential election could have on insurance regulation at the 12th annual Networks Financial Institute Insurance Public Policy Summit on March 17. Organized by Indiana State University's Networks Financial Institute in the Scott College of Business with support from Faegre Baker Daniels and FaegreBD Consulting, the summit is themed Decision 2016: The Impact on Insurance Regulation. "As we move closer to decision 2016, it was important to incorporate the political climate and the effect the result will have on the future of the insurance industry," said Rebecca Wray, director of Networks Financial Institute. "Attendees will benefit from the summit by hearing first-hand from Members of Congress, key Congressional staff, federal and state regulators, and industry leaders on how they anticipate decision 2016 will impact insurance regulation." The summit will run 8 a.m.-2:30 p.m. on the 8th floor of the Ronald Reagan Building and International Trade Center in Washington, D.C. It is free and open to the public. Indiana INTERNnet celebrated internship excellence on Feb. 3, 2016, at the 10thAnnual IMPACT Awards luncheon. Though the event is over and the winners have been announced, we are continuing to celebrate the nominees’ successes. 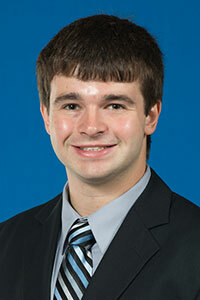 Brandon Nettrouer will graduate from Indiana State University this May. Then he will relocate to South Bend to start a full-time career with Gibson, the company he completed an internship with last summer. 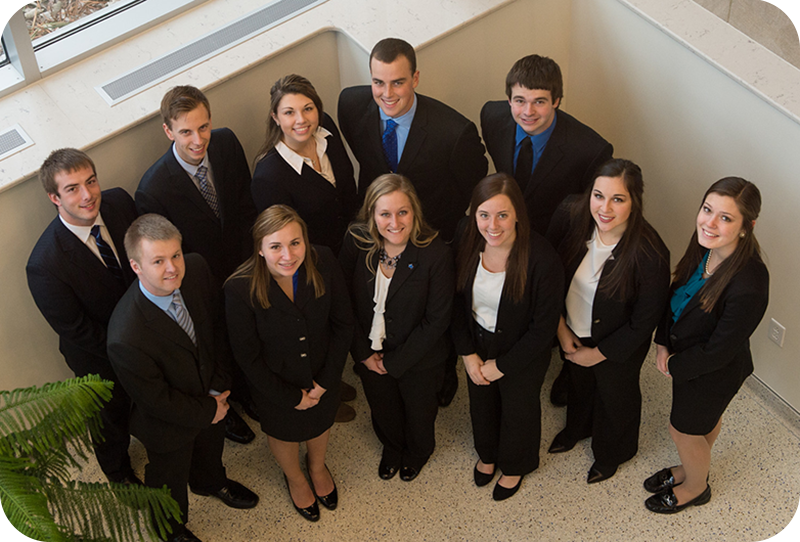 Juniors in Indiana State University's Networks Professional Development Program in the Scott College of Business will show that there is more to ethics than meets the eye at the 11th annual Ethics Conference on March 2 in Hulman Memorial Student Union. "This is a big project for students to put together, and I've learned the importance of being proactive when working as a team and making sure that you know all of the details of what the other groups are doing," said Ben Weber, a junior finance and financial services major. "There are a lot of steps that go into planning an event like this, and I'm looking forward to seeing it all come together on March 2." 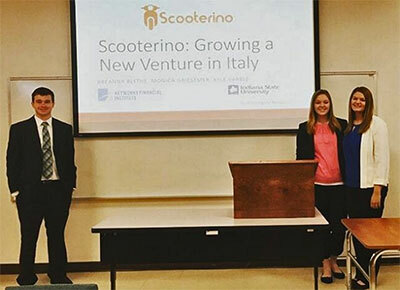 If undergraduates Breanna Blythe, Kyle Varble or Monica Griesemer choose to seek advanced degrees, or work for a global firm their experiences traveling abroad, conducting research and preparing to present at a national conference while students at Indiana State University will go a long way. Last August, the Networks Scholar trio visited Rome, Italy on an eight-day trip as part of their Networks Professional Development Program. The program partnered with the Scott College of Business' Aruna Chandra, professor of management, and management instructor Kim LaGrange, who led the trip that included tours of four businesses, St. John's University, European Space Agency, UniCredit Bank and a BIC Lazio business incubator. The research was funded in part by a Creative Research Grant from the Center for Student Research and Creativity. At the urging of Tom Steiger, an Indiana State psychology professor and director of the student research and creativity, the students submitted their case study National Council on Undergraduate Research and were selected as part of a competitive process to present their work at the council's research conference in Ashville, N.C., April 7-10. spent several months conducting research to write a case study on an Italian ride sharing start up business following their short-term study abroad trip to Italy last August as part of a class on Entrepreneurship in Italy taught by Aruna Chandra, who secured a grant from the Center for Global Engagement to support a portion of the travel costs of the study abroad trip. 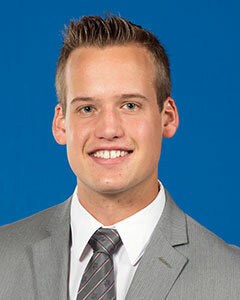 Gongaware scholar Brandon Nettrouer is a senior in Insurance & Risk Management and he is getting his Insurance Sales Certificate; he also serves as the Indiana State chapter president of PI Kappa Alpha. He spearheaded an effort this past weekend to provide a special Valentine’s Day for a local girl who is battling a rare disease and cannot attend school to celebrate with her friends. Congratulations to Indiana State University junior Meagan Stenger who has been recognized as the Greater Fort Wayne Fellows Program's 2015 Intern of the Year. An insurance and risk management major, Meagan received the award after completing an internship at MedPro in Fort Wayne, which was among 15 companies participating in last year's fellows program. "Perhaps the best way to judge the effectiveness of an intern is the impact left behind by the absence of the student in September." 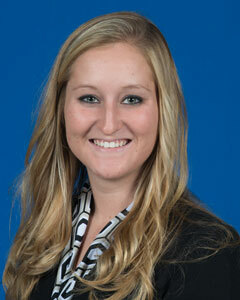 Meagan's MedPro's nomination letter stated.